I love the glitter! Fabulous Christmas card! So glad you had a great trip! Looks great! Love the colours and the glitter. The buttons and the bell are the perfect touch! So fun! I just got my stocking stamp set yesterday and need to play with it and my punch!!! I love that glitter paper too! Rita, I love this! I hope I get a chance to play this week too! Hope you had a good trip! This is rich looking Rita! 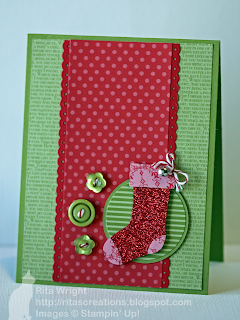 Love the glimmer of the stocking and the sweet buttons. Hugs my friend! Glitterlicious, lady. I'm glad you had a nice trip! Love all the glitter, very nice Christmas colours. Seriously...are you going to make me get that punch??!! The sparkle is perfect and I like the traditional Christmas in this! Wonderful! Rita, this is a great card! And I've only just discovered how great the glitter paper is so I totally agree that it's gorgeous. Now you've made me think that I need that punch!! 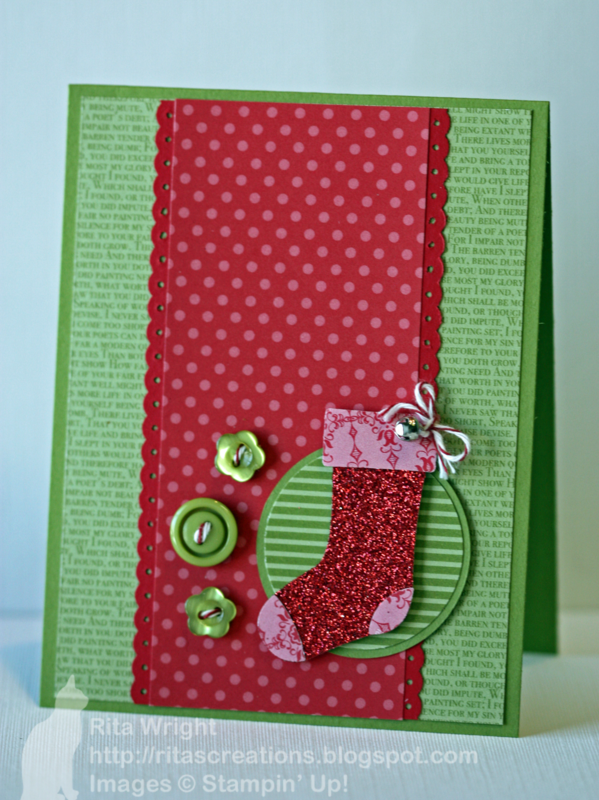 This is simply gorgeous Rita ...I love the tiny detailing on your stocking with the bell and the twine, and love your use of the patterned paper too ... I just don't use enough of it ... thanks for the inspiration!!! 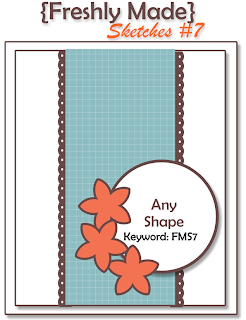 Love this card and the fact that you didn't use any stamps rocks! Love that glimmer paper too, it really makes the card pop! Hope your trip to FL was fun! I DO love the glitter paper! This card is so, so fun! What a sweet card, Rita! I love how the buttons are placed around the circle...a perfect touch!